Electrifying mix of head-banging beats, video game tunes, 50s soul, garage rock, pop and a good dose of slammin white boy hip-hop – want even more? If you do than Mouth’s Cradle is here to satisfy all your musical senses. You might have already seen their name on the iTunes Store’s “New and Noteworthy” and “Pop” pages or the countless blogs raving about their latest release. And if you still didn’t here is your chance to get properly acquainted as the duo have selected seven amazing tracks from their album The Next Big Thing and with a tiny help of FrostWire decided to share them with the world. The one thing that truly makes the album to stand out from the thousands of thousands of releases out there is it’s unique style – the same thing that almost instantly placed Mouth’s Cradle as my top band of the week. It’s definitely hard to place their music in any one genre or to find another comparable artist. There is certainly a bit of Outkast flavor in the tracks but the added portion of out of control yet exceptionally awesome lyrics, soulful vocals, hip-hop, 8bit, and pop sounds have undoubtedly turned the duo’s music into a blend like no other. Our seven track selection begins with Honey From A Stone. Filled with the addicting 50s flavor, video games sounds, and some fast-pace drum keys the track is definitely an up and coming pop hit that will not be quickly forgotten. However, if its the more of a hip-hop sound you are after, be sure to tune to Show Me Off, which with its fast vocals and catchy chorus will take you on one unforgettable ride. What distinguishes this track from all the rest is the amazing mix of deep beats and strong synths that made me wander why i still haven’t heard it on the radio. As you go along be also sure to spend some tapping-your-finger quality time with the slightly slower Video Game and sing along to what turned out to be my favorite two catchy tracks, Malice in Wonderland and Demon. All in all, if you really want to experience Mouth’s Cradle‘s music make use of our lovely download package and go through the included lyrics – who knows maybe they will make you fall in love with the duo all over again. 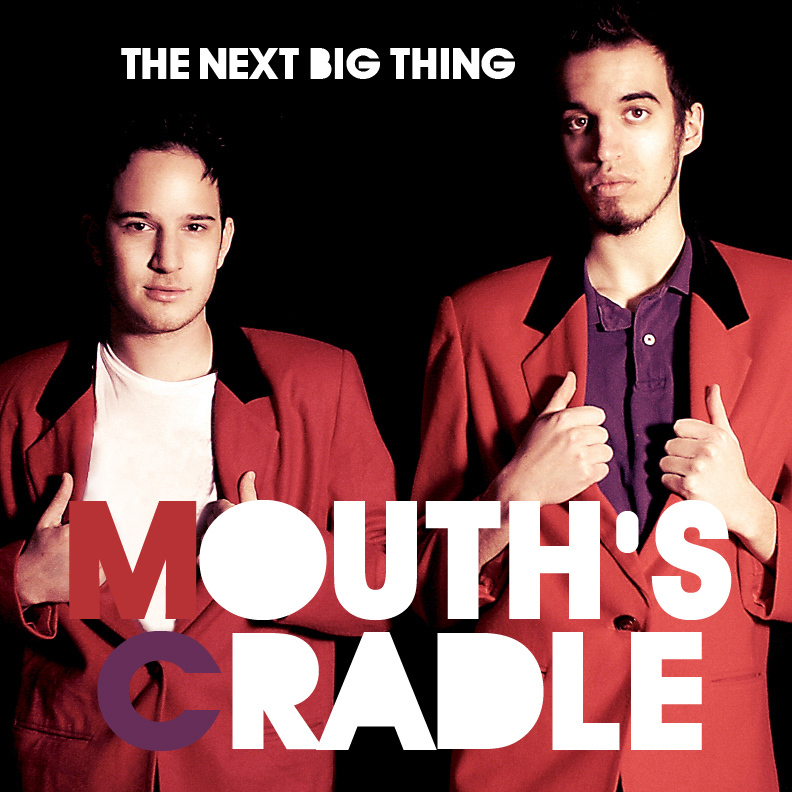 The Next Big Thing is Mouth’s Cradle’s debut self-released album, however there are some more tunes available in case you are already hungry for more; so check out the duo’s official website for some free mixes including Mouth’s Cradle Vs. The Hype Machine and Mouth’s Cradle is Terrible. So good! I recommend this to everyone. LOVE!!!!!!!! OMG bu bu bu buckle up!! Lovin it!! New Style.. I love it!